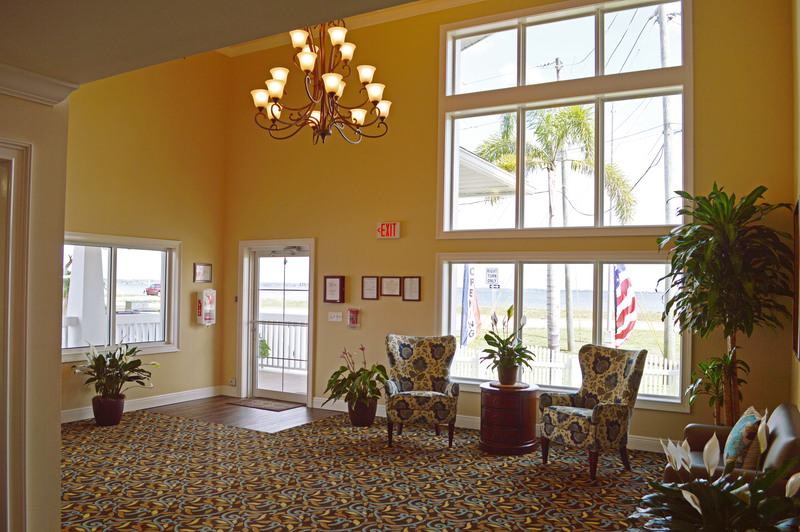 The Manor at Lake Jackson | WMB-ROI, Inc. 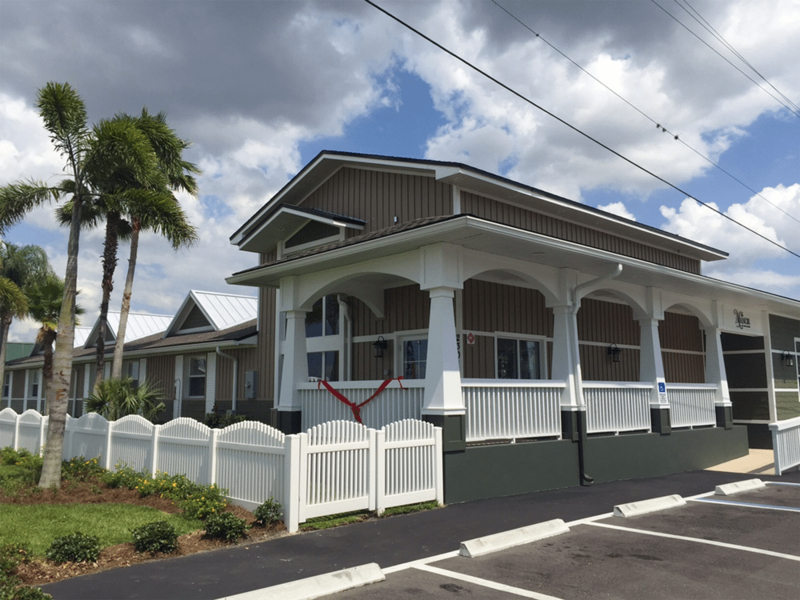 Located along Lake Jackson in Sebring, The Manor is an assisted living facility designed for patients suffering from dementia and/or Alzheimer’s disease. This project involved a new 2,600 S.F. 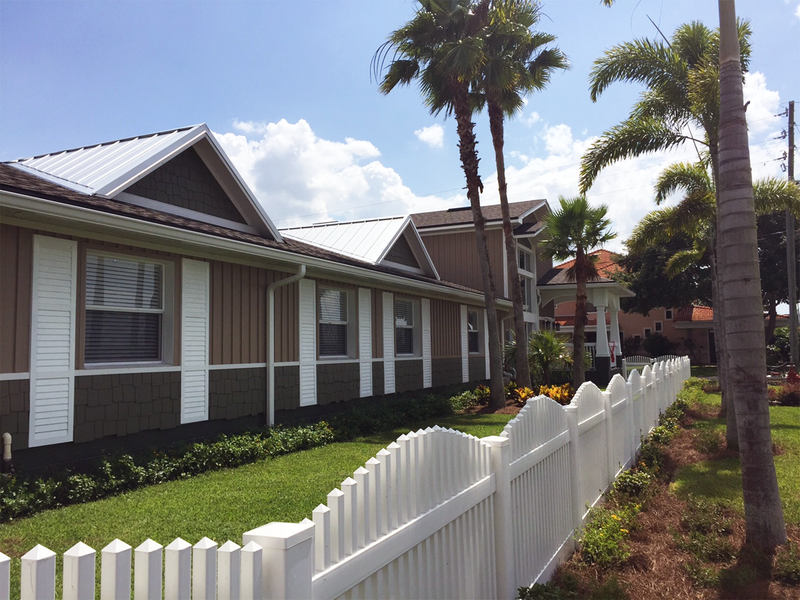 addition to provide residents with activity and dining space, as well as interior layout changes and exterior façade improvements. 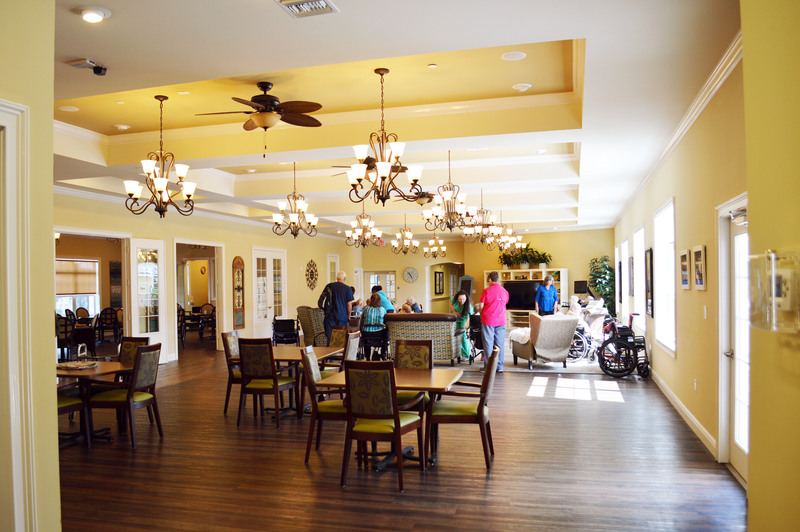 With memory-impaired patients, it’s essential to create a simple, calming environments that safely houses residents. We opened up the space by raising ceilings, adding bigger windows, widening corridors and leveling uneven floor elevations. The cottage-style exterior replaces what could have been an institutional-looking facility, with one that looks more residential and welcoming. With the site’s unbroken, circular design, residents have access to a continuous, air-conditioned pathway for exercise. A centralized courtyard, enclosed by the building’s corridors, offer a safe outdoor area for residents to walk without chance of wandering off-site.